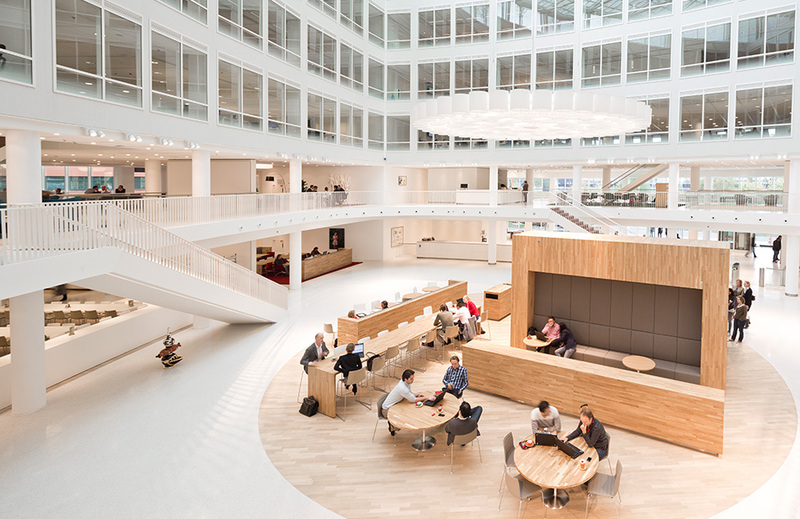 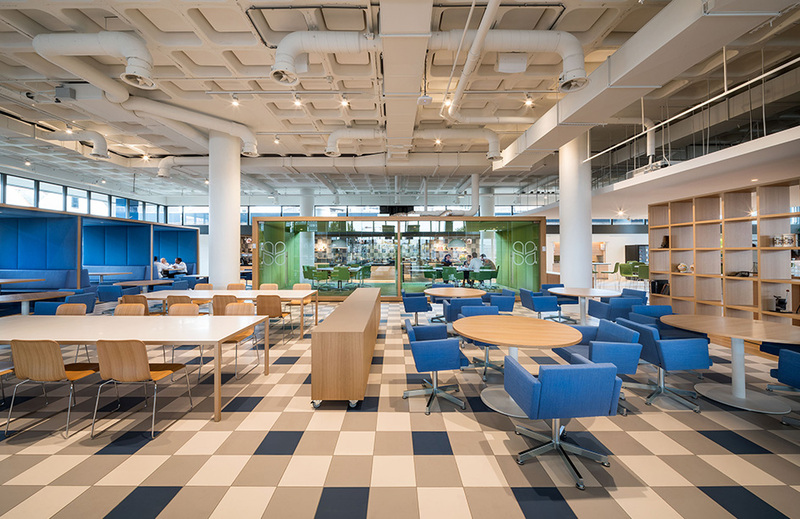 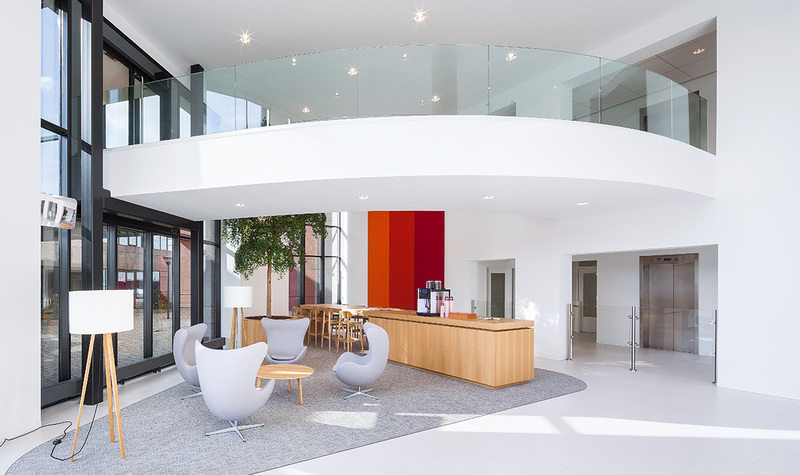 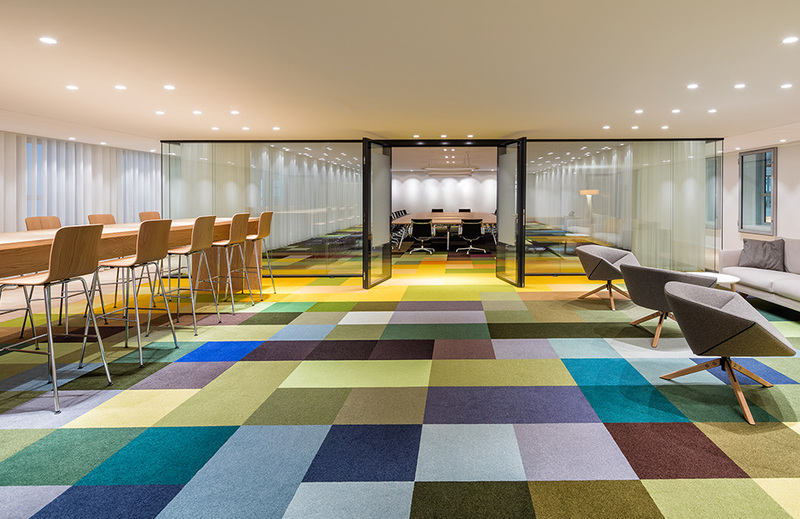 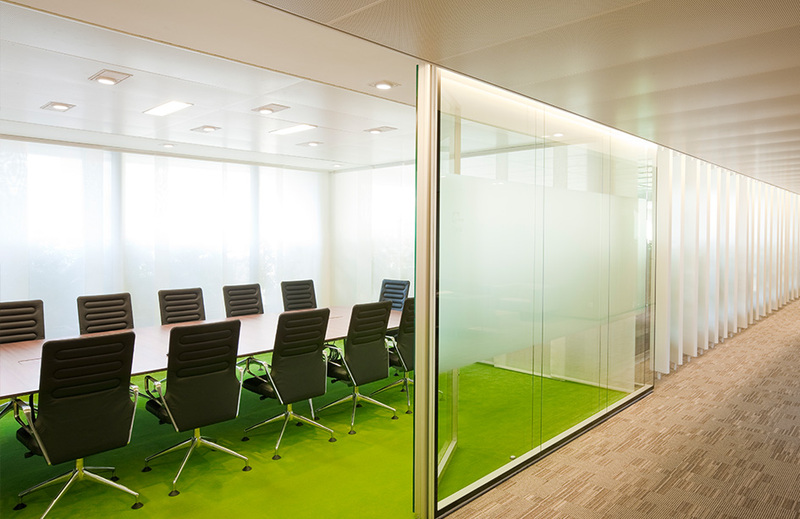 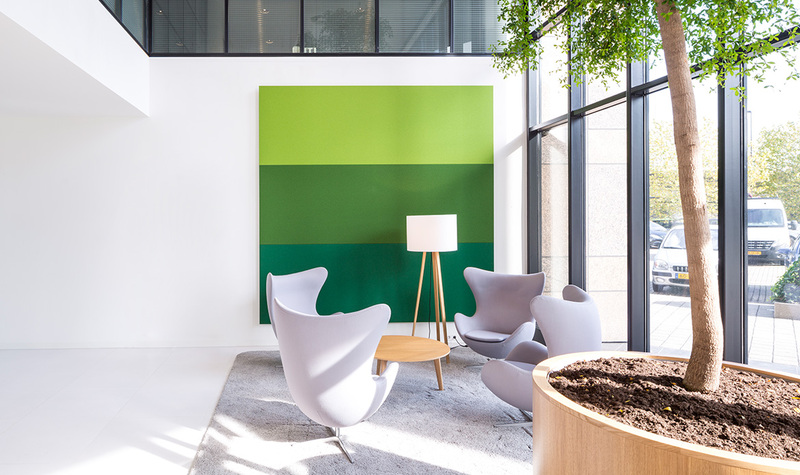 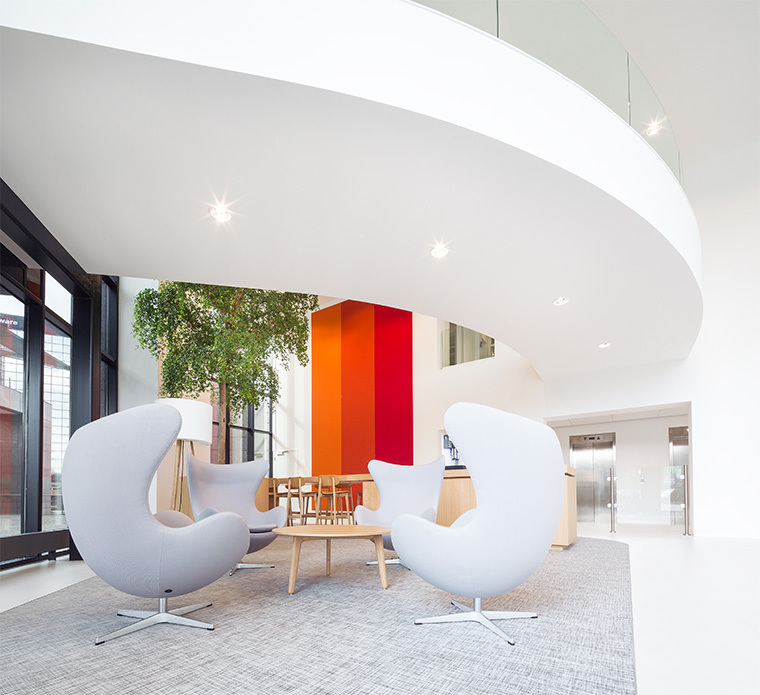 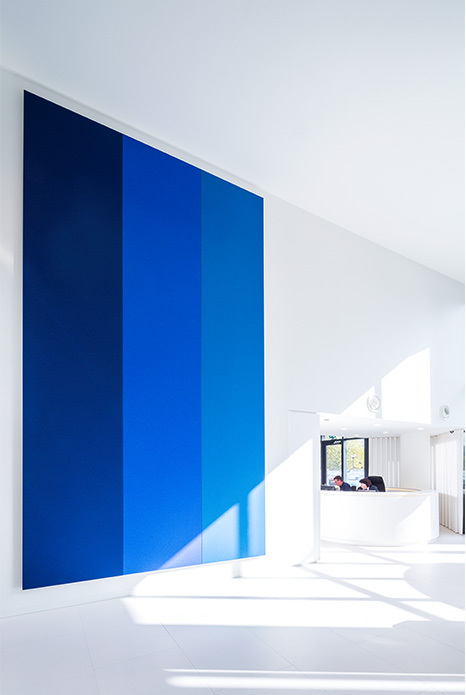 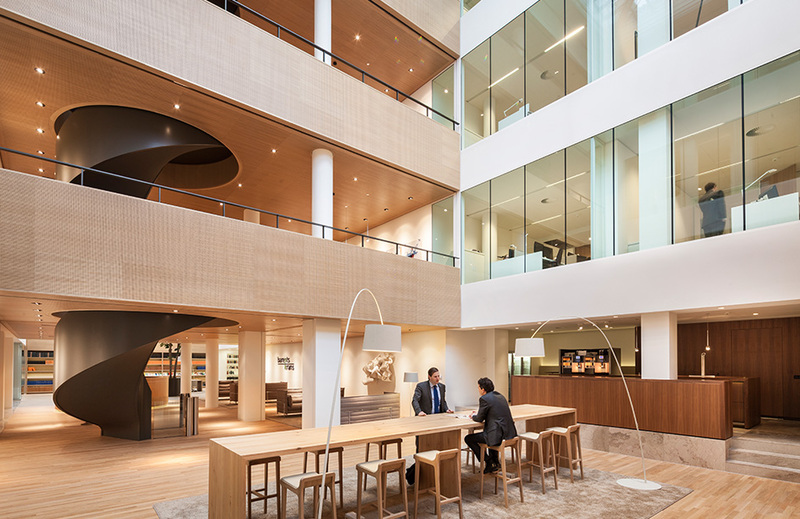 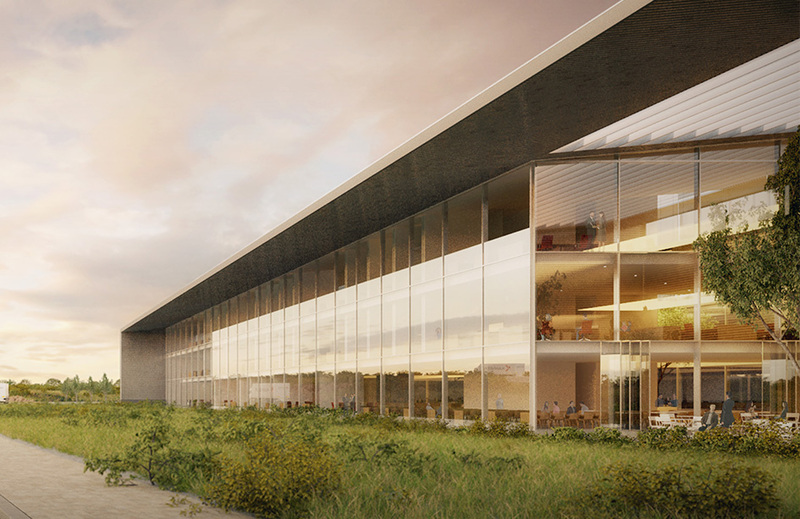 For the Europlaza office in the south east of Amsterdam HofmanDujardin designed a sparkling new entrance. 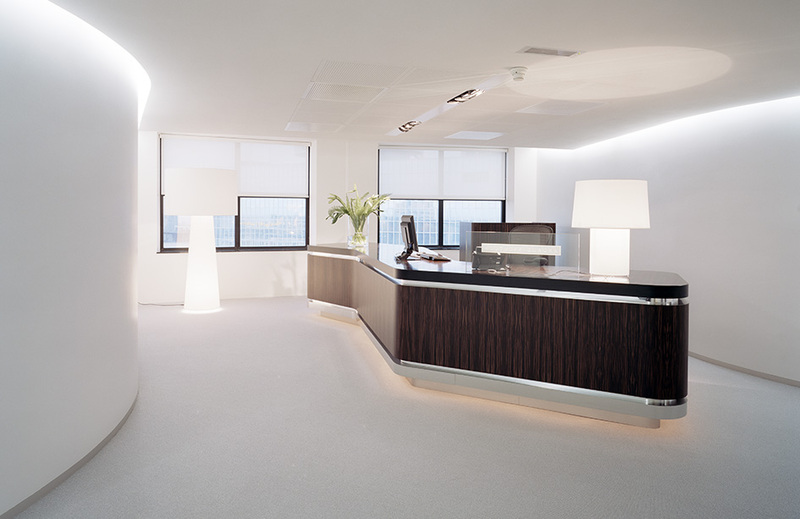 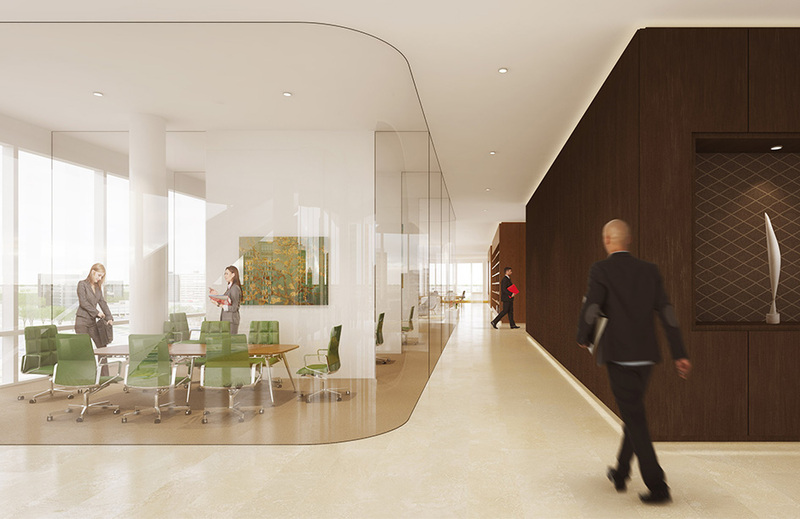 By smartly placing a round white Corian finished reception desk visitors entering from both the back door parking garage and the front door can be welcomed. 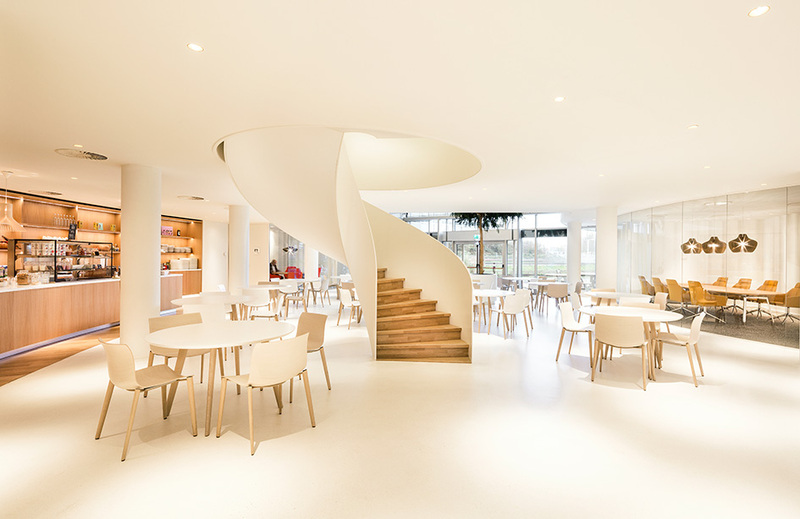 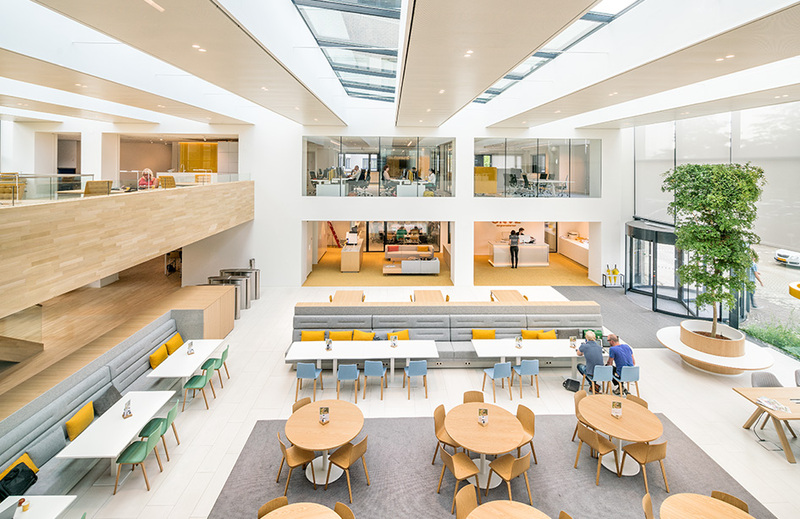 The entrance consist out of white, grey base tone colours and an oak wood self-service coffee bar. 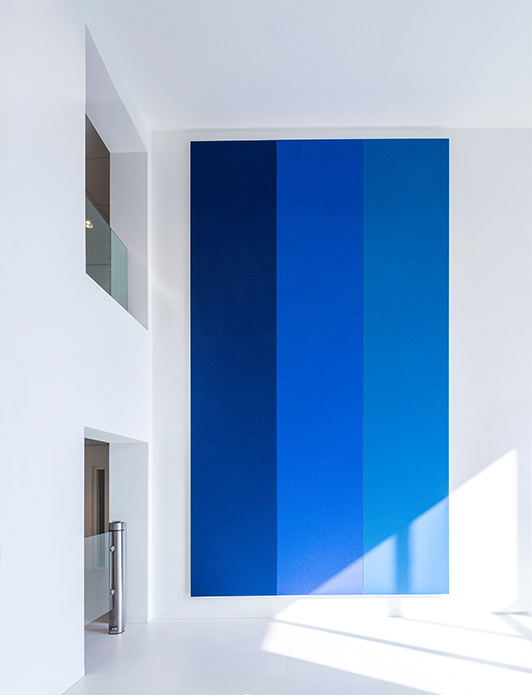 To give some fun to the entrance and to provide a pleasant acoustic space, three large colorful upholstered panels are placed on the walls.